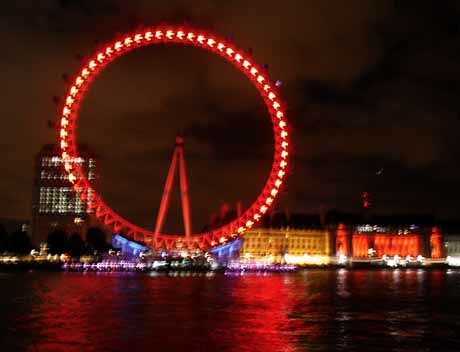 A certain iconic Ferris Wheel in London is shining bright red these days. Particularly at night. The staff members can be found wearing red shirts, some coupled with red hats. The ferris wheel pods, the ticket office, and the cafes have all been rebranded by a certain renowned red and white logo. The London Eye has officially been taken over by Coca-Cola. “This new sponsorship will help us play an even greater part in future moments of happiness and celebration in the capital.” – Jon Woods, General Manager, Coca-Cola, U.K.
Medical professionals, health campaigners, and children’s charities are not pleased. In fact, “not pleased” might be an understatement. Malcolm Clark, Coordinator of the Children’s Food Campaign, was last seen handing out 500 toothbrushes to visitors of the London Eye, emphasizing that each week in England, 500 5-9 year old children are hospitalized for rotten teeth. Coca-Cola has never before been challenged to this magnitude. On September 29th, 2013, The New York Times published a fascinating article: Apple Passes Coca-Cola as Most Valuable Brand. A brand consulting company, Interbrand, has been researching brand loyalty and publishing The Best Global Brands report since 2000. In 2013, Coca-Cola failed to rank #1 for the first time in thirteen years. In fact, Coca-Cola slipped from #1 to #3, surpassed by Google, who locked in #2. Interestingly, Apple and Google spend significantly less time and money on promotion, sponsorships, and T.V. advertising. They don’t need to waste resources on promotion. 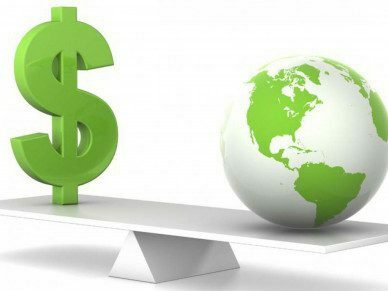 Business is shifting such that sustainability and image are gaining in importance. The reality is that health conscious parents would prefer to buy iPads for their children than sugary soda. But actually, a “weakness”, or the fear of such, on behalf of corporations is fantastic for sustainability. Why? Because a company like Coca-Cola is forced to compensate a diminished brand image by strengthening another area of its business. And what better way to do so then through sustainability? We can, and should, applaud Coca-Cola for its initiative and recognition of changing consumer tastes. In fact, Coca-Cola has a highly commendable sustainable effort. The company has introduced a number of low-calorie drinks over the past few years. It uses recycled and renewable materials for its packaging. Coca-Cola is backing the Replenish Africa Initiative (RAIN) with a six year $30 million commitment, aiming to improve access to clean water for millions of people living in Africa. The company uses Plant Bottle Packaging; Coca-Cola’s plastic bottles are actually partially made from sugarcane plants. Moreover, Coca-Cola has set sustainable goals to achieve by 2020, including 25% improvement of water efficiency, reduction of carbon emissions by 25% through the entire value chain, and aspirations to sustainably source key agricultural ingredients. The key takeaway? As preferences shift towards sustainability, businesses must continuously innovate in order to stay afloat. Especially if they are experiencing a gap in some component of their business, such as a weakening brand image. It is becoming quite evident that consideration of all stakeholders is no longer “nice to have”, but rather a necessity. Coke is like Apple Pie. I hadn’t noticed that the company had let some upstarts like Google and Apple pass them by. Wow! Good stuff, TSI! And good job out of the Children’s Food Campaign for calling out Coke for its role in England’s dental woes. Hopefully they and other groups like it will keep the pressure up. McDonald’s faces the same challenge?